I watched this video produced by Hellman's the other day and I loved the message of "Buy Local" but it lacks truth because it only tells half the story. Why do supermarkets import the majority of their produce today? Why are our farmlands continuing to dwindle annually. I will talk about some of the main reasons in today's post. First let me say again that I support local growers, even if I have to pay a little more. Quite honestly, I don't mind paying a little more knowing my dollars are staying in the local economy. This means so much to me and I know I'm keeping jobs here. The cost of agricultural land in North America has sky-rocketd compared to many other countries where we import our produce. At today's land prices it is very difficult to begin farming, the mortgage payment alone can far exceed the annual return of the crops. Tourism is a strong contributing factor in many cases, for example with all the wineries popping up, surrounding lands have increased substanially in value. It's trendy to take a wine tour or buy an adjacent vacation property. An acre of prime orchard land 5 years that may have cost $40,000 today costs over a $100,000. In Chile the same land can be purchased for $6,000 - $12,000 acre. The average orchard in Canada is about 10 acres whereas the average orchard in the U.S. is 100 - 2000 acres. Purchasing packing equipment and building a packing shed to handle the crops will easily cost over a $1,000,000 today. Not possible for a small farm so the answer is to sell their crop directly (best return) or have a co-op pack and market their crop (worst return). 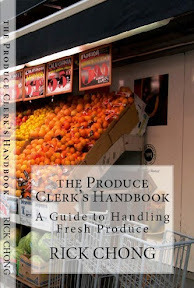 The laws governing the packing of produce are becoming more stringent each year as our government tries to protect us from getting sick, disease and terrorist threats (poisoning of the food chain). The average grower cannot afford these costs and either must sell to a co-op as I mentioned earlier or expand. Accountability is the new word in packing, the government wants to be able to trace the source of any contaminated produce to stop it in its tracks. Rightfully so and this comes at a great multi-billion dollar cost. A produce buyer may want to buy locally but the farms are just too small to service their needs so they look to other sources or countries that can. Today most supermarkets voluntarily follow Gap Certification standards to protect themselves from liability and their customers by taking food safety a step further. This is an expensive program which is ultimately passed on to you the customer. If a grower isn't Gap Certified the supermarkets will not buy his produce. Our orchards are Global Gap Certified. Lastly... where have all the pickers gone? There is a huge shortage of workers. Our children do not want to work picking peaches or blueberries, preferring to focus on higher education. I would estimate 30% - 40% of the labor force used to pick crops today are seasonal workers imported from Mexico or some other low income third world nation. There is nobody to pick the crops, there is a shortage of workers. It can be very frustrating being a farmer today. Yes buying local produce will cost you more money. Absolutely. Eat lots of Produce and support Local Growers whenever possible! I have been gone for awhile and haven't had a chance to update my blog with anything new or unusual. My apologies! A new season is upon us and I will be posting regularly and adding updates as I travel through growing regions of the Pacific Northwest and British Columbia. California is in full production right now with alot of the early variety Brooks available. A nice cherry if it's picked in a dry season, terrible quality if it rains, Brooks split so easily. Of course the bings are starting too, another excellent cherry with heavy volumes expected. Washington State will begin picking their early varieties anyday now. 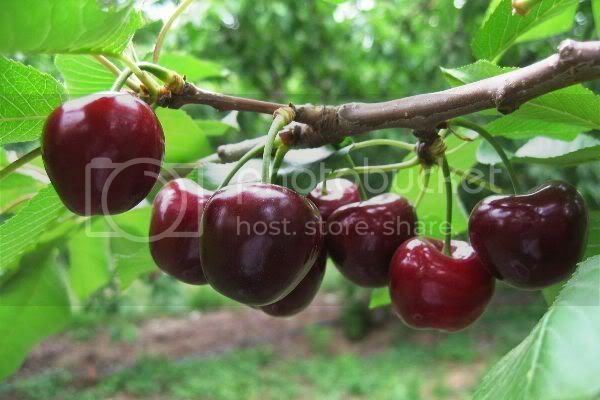 The Chelan variety is an excellent cherry its characteristics are a dark, hard and very crunchy piece of fruit. Albeit not as sweet as the bing or lapin varieties which will come later in the season. The Van cherry is a Canadian favorite because of it's almost black color and supersweet thick sugary flavor. Volumes continue to decrease every year as this variety commands lower returns to the growers. Can't wait to eat my fill of cherries this season. I've already started on the Rainiers, they haven't been this cheap out of California since I can't remember.